Game of Thrones Tour of Ireland. I cannot believe that the final season of Game of Thrones is here! 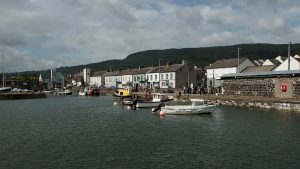 What a better way to bring in the new season then to take you on a tour of some of the sites where the show was shot in Ireland. When we were in Ireland last spring my friend Kay and I looked for a tour to take so we could see a bit of the country and that’s where we found the Game of Thrones Filming Locations tour through Irish Tour tickets. Not only did we get to see the Wall while they were filming but you’ll recognize many other locations as well. Enjoy! 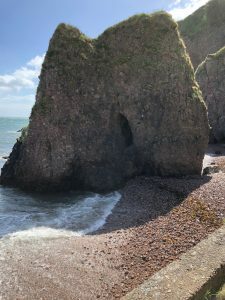 Our tour left out of Belfast and meandered along the Antrim coast. If you haven’t been there it is some of the most beautiful scenery I’ve seen. It’s also the reason I keep going back. Our tour guide was… surprise, an extra on Game of Thrones. She informed us that most of the extras were from Northern Ireland and more than likely if you weren’t in the show then your neighbor was. Our first drive-by was the Wall. We couldn’t stop because they were filming. I tried to get a shot but unfortunately, I was not able to. Our first official stop was in the cute little harbor town of Carnlough. You might recognize the stairs from season 6 where Aria crawled out of the harbor. The town is quite beautiful and we were given a few minutes to get food and relax before moving off to our next destination. Next, we made our way to Cushendun. This is where Melisandre had the shadow baby. At this point in the trip, we were wondering where we would stop for lunch. 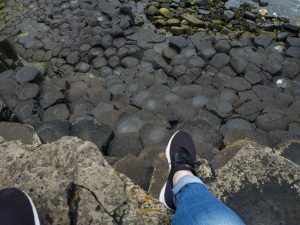 Luckily, they took us to Giant’s Causeway. 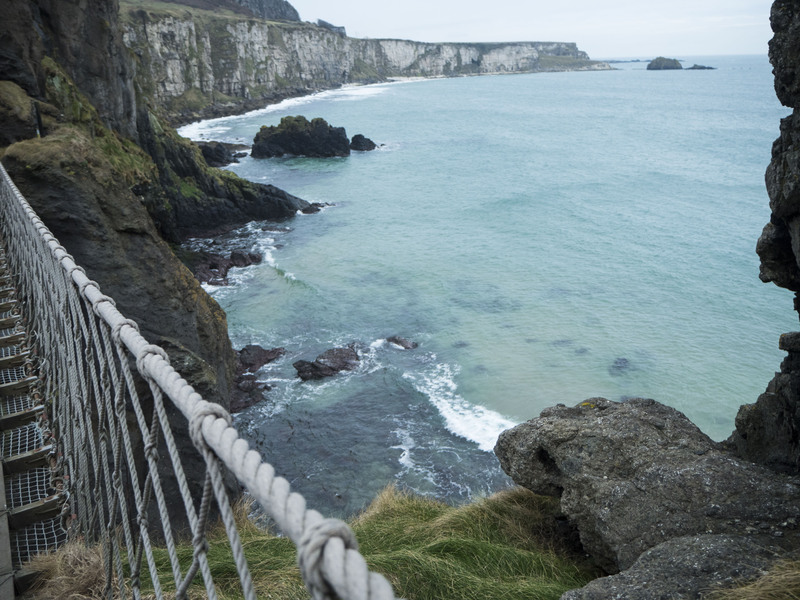 Although this national landmark does not feature in the GOT series it is a must see when traveling the Antrim coast. 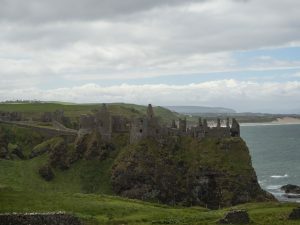 From Giant’s Causeway, we made a brief stop at Dunluce Castle, which was the inspiration for the Dreadfort. Our next stop was the Carrick-a-Rede rope bridge. 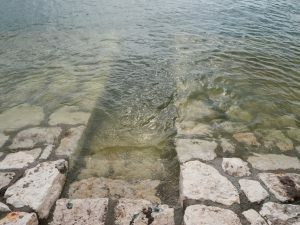 I had a harrowing experience the first time I crossed this bridge. The winds were very strong that day and the bridge swayed as if it was a swing. So on this trip, I opted out and spent a nice couple of hours admiring the view and having some tea. 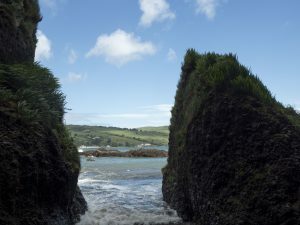 Here are some of the photos from my first trip. 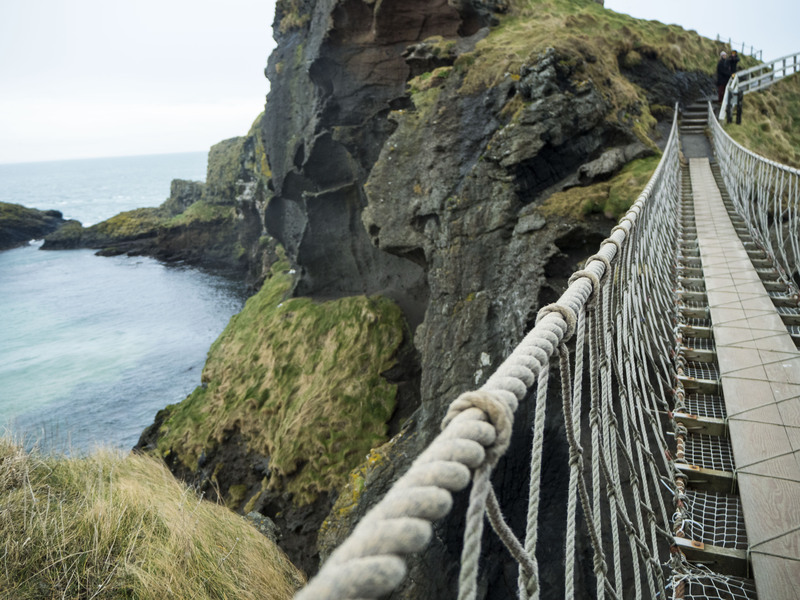 It should be mentioned that before we were given the option to go to the rope bridge we were also given the option to dress up in capes and battle each other with swords. Although this didn’t appeal to us, it certainly made the majority of the tour happy. 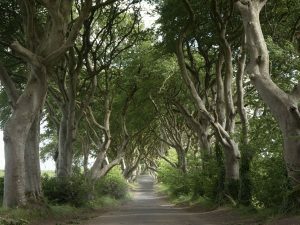 Soon we were on our way to our last destination, the Dark Hedges. In reality, the only time you’ll get a shot without anyone else in it is if you go very early in the morning. So if you want one of those iconic shots without people rent a car or learn how to photoshop. In hindsight, it would have been great to rent a car and drive around to all of the spots the tour couldn’t stop but that’s for another trip. What are some places you’d like to visit? Until next time.